Not so long ago, train travel was considered to be the very height of luxury, and to board the Orient Express, which first ran from Paris to Constantinople in 1883 was the ne plus ultra of extravagant travel. 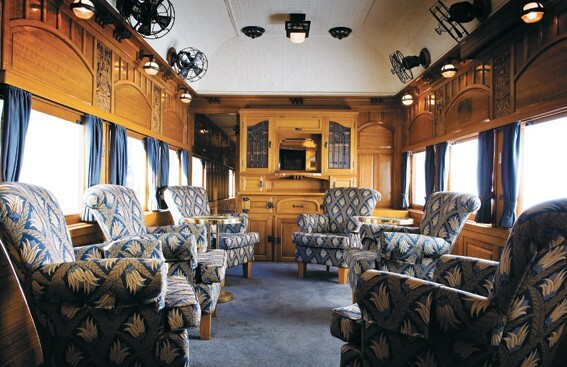 The luxurious upholstery, sumptuous sleeping cars and gourmet restaurants delighted travellers, and soon the train was known as “the King of Trains and Train of Kings,” since Leopold II of Belgium and Carol II of Romania were famed as on-board seducers, whilst Tsar Nicholas II demanded custom-built carriages, and Ferdinand I of Bulgaria even insisted on driving the train through his own kingdom at breakneck speed. Mata Hari was just one real-life spy who journeyed on the train, but there were many more anonymous ones who did, too. In fact, thanks to Agatha Christie‘s novel, Murder on the Orient Express, the train became synonymous with spies, and incorporated into stories about Hercule Poirot and James Bond. 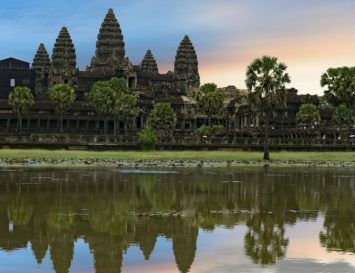 The original Orient Express operated until 2009, but today, luxury trains are making a comeback, not only because they offer a unique experience, but because it’s a far more sustainable way to travel, making it a popular option with eco-conscious tourists. In fact, train travelling uses 30% less energy per passenger mile than cars and 20% less than planes, and since train stations are usually centrally located in cities, travellers don’t need a second form of transportation to get to their final destination. 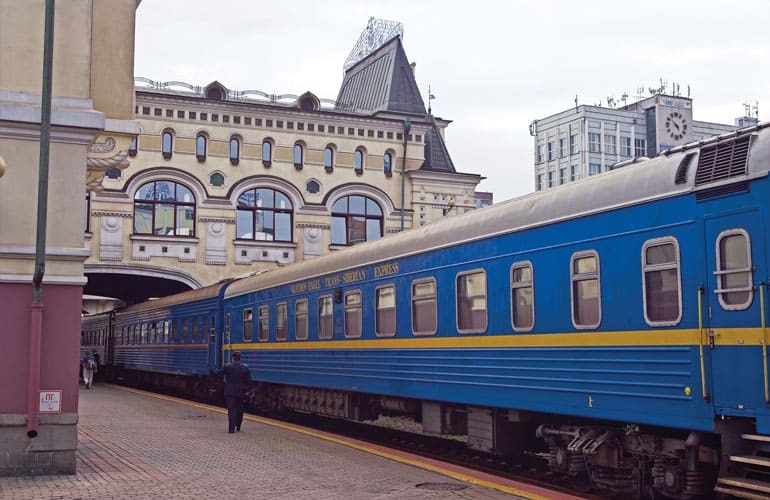 It may be slower than travelling by plane, but perhaps one of the most charming aspects of train travel is that you’re able to disembark and explore different towns and sites before continuing to your end destination. 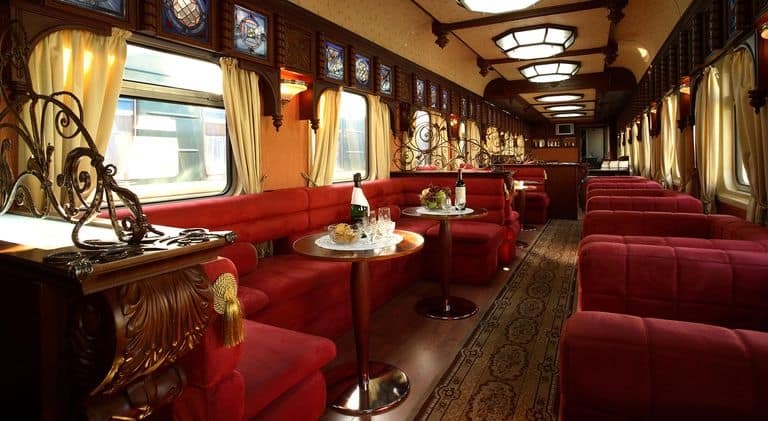 In fact, I predict train travel will grow in popularity once the public becomes reacquainted with the wonders of this mode of transport, and these 10 luxury train journeys are a great place to start. 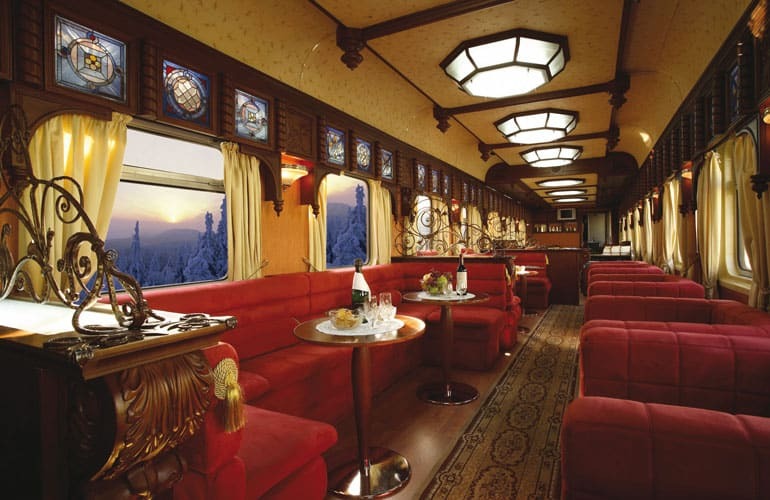 Agatha Christie fans will be eager to experience a journey on the famous Orient Express, which retains the decor of the original. 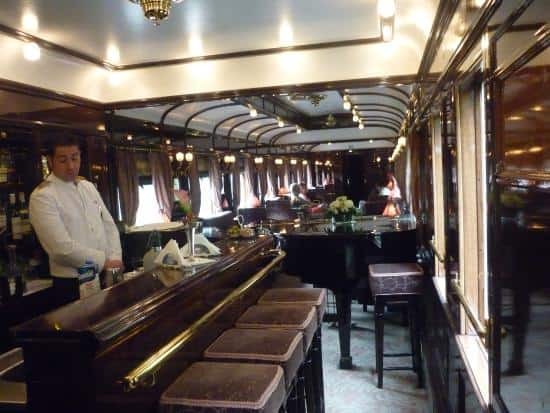 The Venice Simplon-Orient-Express goes from Venice to Paris, Paris to London, and London to Verona, bringing travellers to what are undoubtedly some of Europe’s most beautiful cities. After boarding, you may be served a brunch of smoked salmon and scrambled egg, Champagne and a variety of nibbles. Upon arrival to the Calais Ville station, you’ll be greeted by staff wearing full uniforms from the 1930’s, including your own carriage attendant. 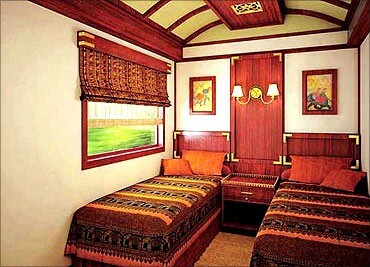 Drinks are offered in your compartment, and you’ll have nothing to do but relax until you reach your Venice hotel. Guests are encouraged to dress formally for dinner: men in black tie; ladies in cocktail dresses. Menus offer mouth-watering options such as fish, steak or pastas, with a cheese course and dessert. The wine list is extensive, and expensive – but if you can afford to board this train, you can afford all the luxuries it offers, too. 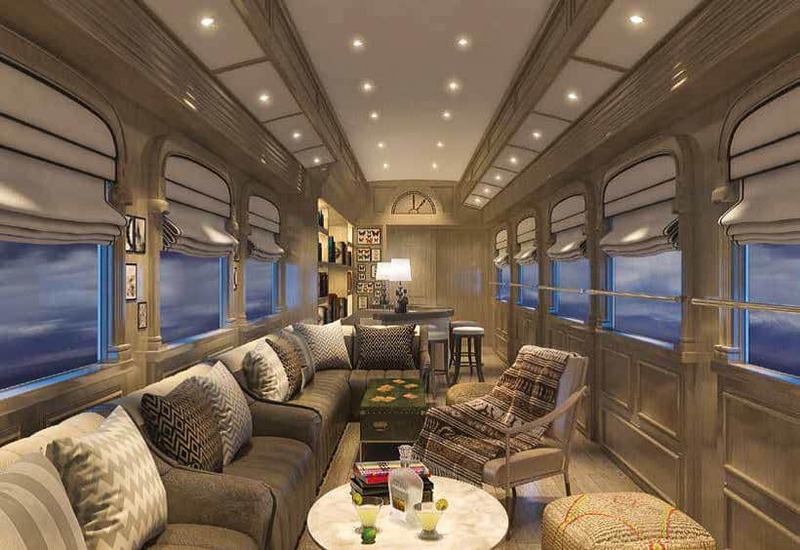 South America’s first luxury sleeper train launched in November 2017 to allow travellers to explore the lesser known parts of Peru such as the city of Arequipa and the neighbouring Colca region, home to condors and the second deepest canyon in the world. 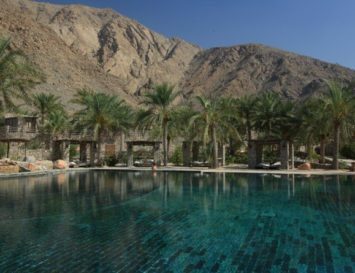 Of course, the Belmond Andean Explorer also stops at Peru’s most important tourist site, too – Machu Picchu – and passes through diverse terrain that ranges from sweeping mountain views to lush, tropical jungles. 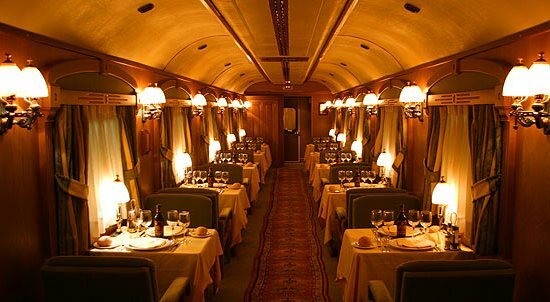 Dining in the Belmond’s luscious Llama and Muña carriages provides an introduction to renowned Peruvian cuisine, after which you can retire to the train’s library, or indulge in shopping at the on-board boutique to bring back a souvenir of your South American adventures before retiring to your opulent sleeping quarters. 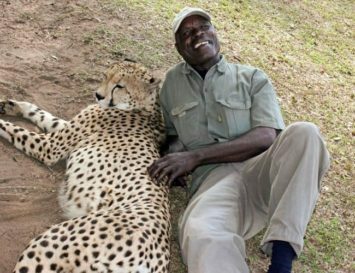 For decades now, Golden Eagle Luxury Trains have been providing fully-escorted private rail tours across Europe, Asia, Africa and North America. The Golden Eagle has been carefully designed to enhance the comfort of travellers both through their luscious accommodations and splendid Bar Lounge and Restaurant Cars. 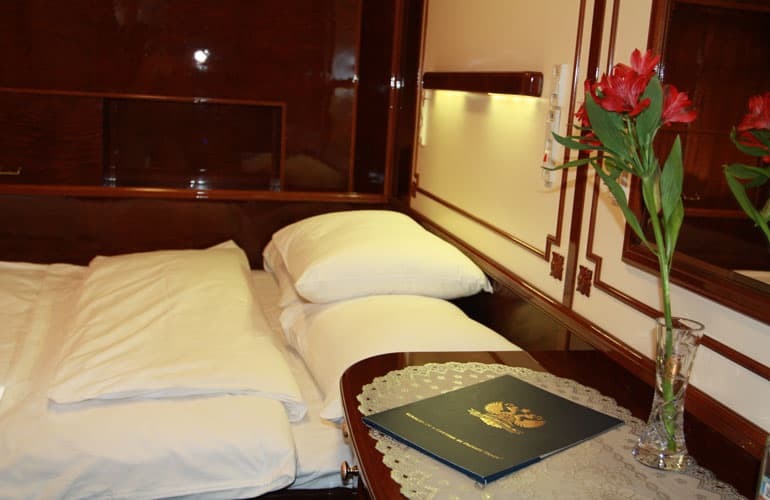 If you want a real treat, opt for the Imperial Suites, the most spacious cabins available onboard measuring 110 square metres and benefiting from a large, luxurious double bed with a view, as well as a lounge area with dressing table. 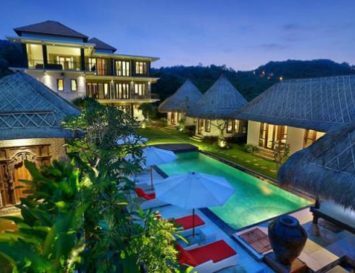 They include facilities such as a private en-suite bathroom with power shower, underfloor heating, air-conditioning, wardrobe, DVD/CD player with LCD screen, a fully stocked minibar, safe, a small library and two large picture windows from which you can watch the world go by. It’s basically like placing your very own home on wheels! Kyushu is the gateway to Asia, operating an active exchange with the mainland since ancient times. Still today, there is an overflowing number of travellers. 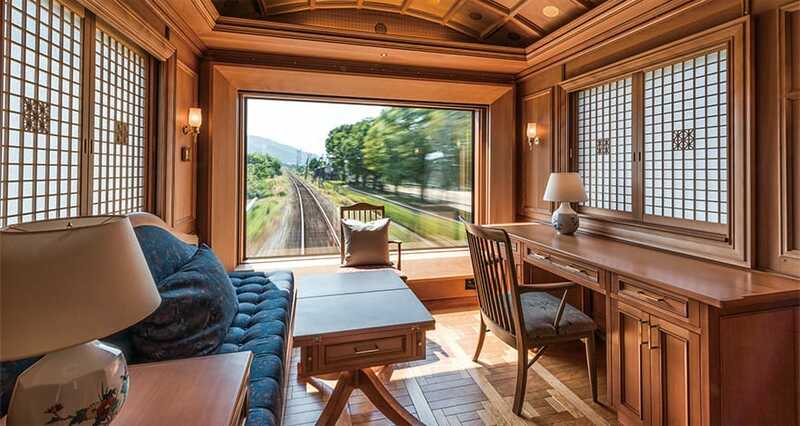 The Seven Stars luxury train provides adventurous travellers the opportunity to explore the fascinating sights of the third largest island of Japan. Boarding this elegant locomotive requires compliance with a specific dress code: during the day gentlemen should wear jackets, collared shirts, dress slacks and blazers, whilst ladies can choose from dresses, or collared shirts and jackets. 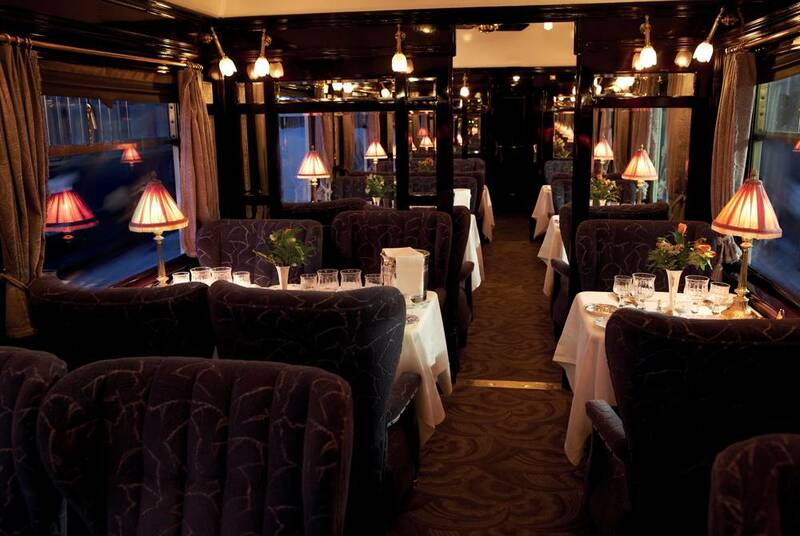 Dinner on the train is quite formal with dinner jackets and elegant dresses required – no sportswear is allowed. But if you want to go full Nipponic style, kimonos are permitted but without sandals, of course. 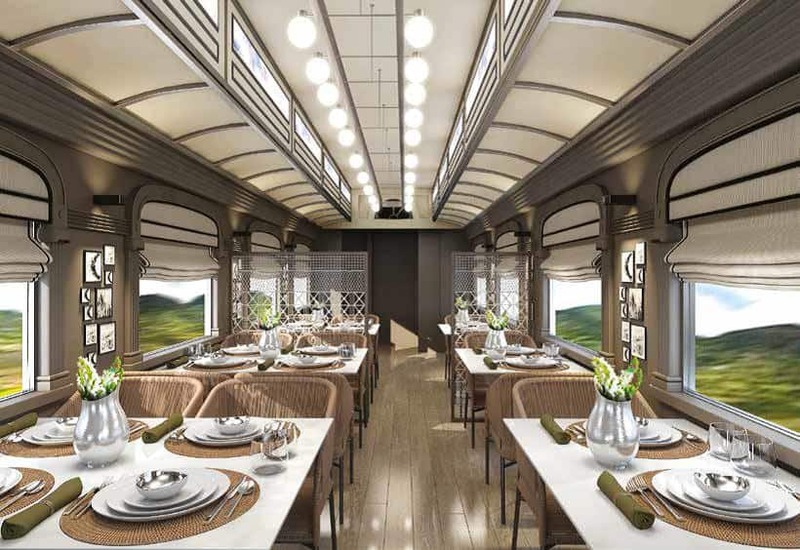 In terms of design, the train coalesces Japanese and Western styles, bending minimalist aesthetics with a variety of lush fabrics throughout the deluxe rooms and superb lounges and dining cars. The typical Japanese attention to detail on the Seven Stars is as wonderful as the panoramas that you will encounter on your journey. 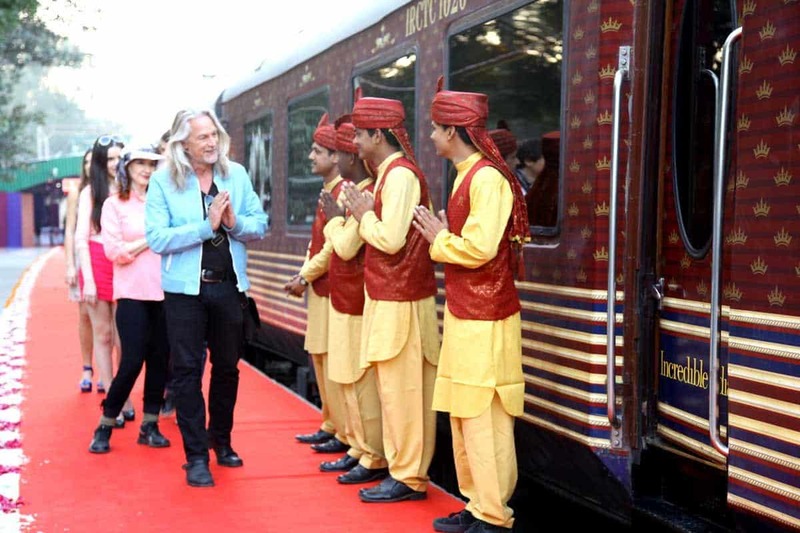 Often called “the Orient Express of the Orient,” the Maharajas’ Express is a recent entrant to the luxury train market. The brand’s decor attempts to emulate the Golden Days of the Raj, when Maharajas travelled with opulence in ostentatious carriages. 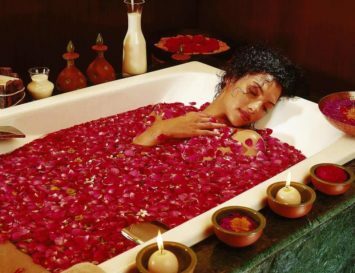 The three-night long journey immerses travellers in a wide range of scenery, colonial indulgences such as gin and tonic sundowners, and fragrant Indian cuisine. Passengers should be aware there may be some hidden extra costs such as porter charges, and ethical travellers will want to say a resounding NO to the elephant rides on offer, though. If you’re fond of Canada’s natural beauty, this will be a life-changing travel experience since Rocky Mountaineer offers over sixty five vacation packages that cover four distinctive rail routes through British Columbia, Alberta and the Pacific Northwest. This train company isn’t just a more sustainable option than flying; it’s also an ethical company with heart: every year, it tributes people who make a positive impact in the lives of others by inviting them onboard the train with their families to cherish the unforgettable adventure. It doesn’t surprise that for the fifth year in a row, Rocky Mountaineer has been named one of Canada’s Best Managed Companies for excellent performance. 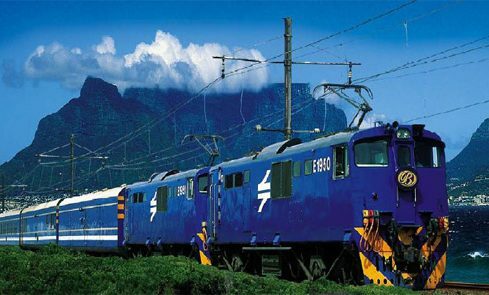 The Blue Train’s origins go all the way back to the 1920s, when two trains, known then as the Union Limited and the Union Express, traversed the Great African Railway. 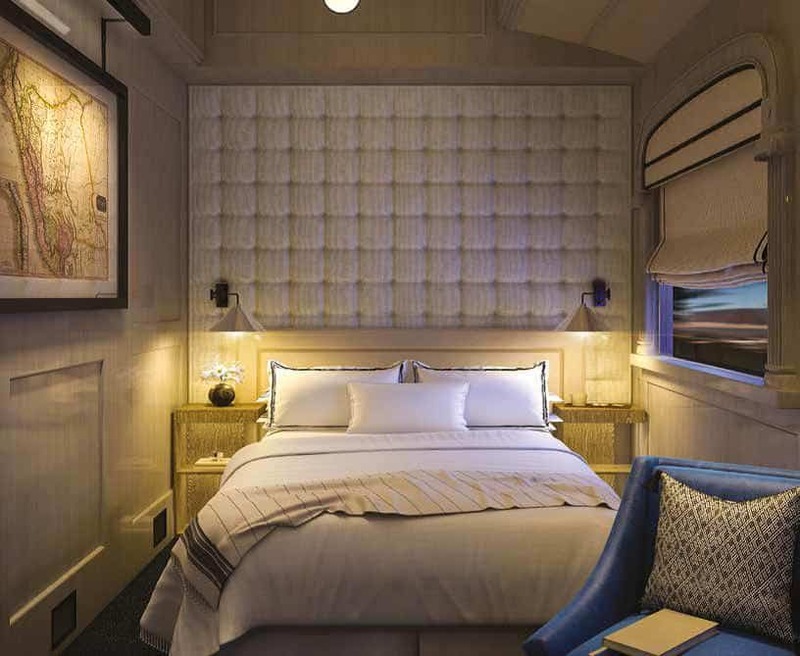 The trains’ distinctive royal blue and cream shades have been preserved, whereas the interiors have been refurbished to showcase artisanal African handicrafts and typical safari-tent touches, such as rolling canvas blinds and animal-print fabrics. Blending the charm of its alluring past with all modern conveniences, the train rolls through some of South Africa’s most popular destinations, including Pretoria, Cape Town and Hoedspruit. 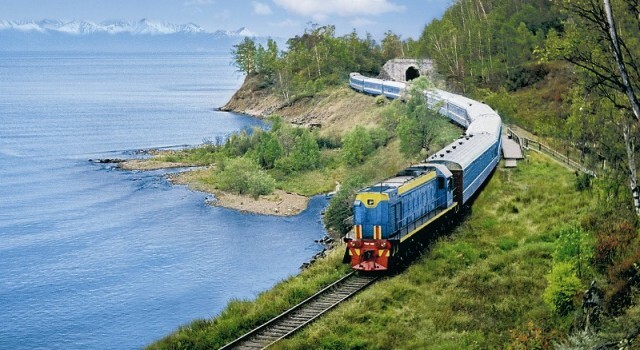 The Trans-Siberian Express goes from Moscow to Vladivostok, passing through verdant beauty and mountain ranges before reaching the shores of the world’s largest freshwater lake at the end of this 7 day journey. 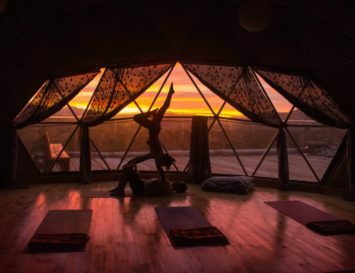 There are 3 classes of cabins to travel in, and all are extremely well-proportioned and provide everything from a private bathroom with separate power shower cubicle and underfloor heating to a DVD/CD player, LCD screen, safe, individual air-conditioning, and cosy double beds. 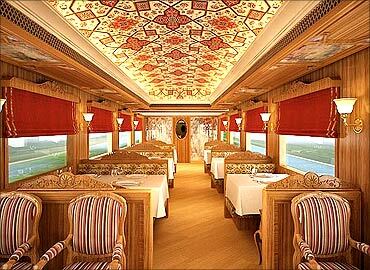 No matter which cabins you choose to board this train, you shall voyage in grand style, worthy of a Tzar. Hopping onboard El Transcantà¡brico Gran Lujo, you’ll discover the beauty of Spain in ways no other trip will reveal. 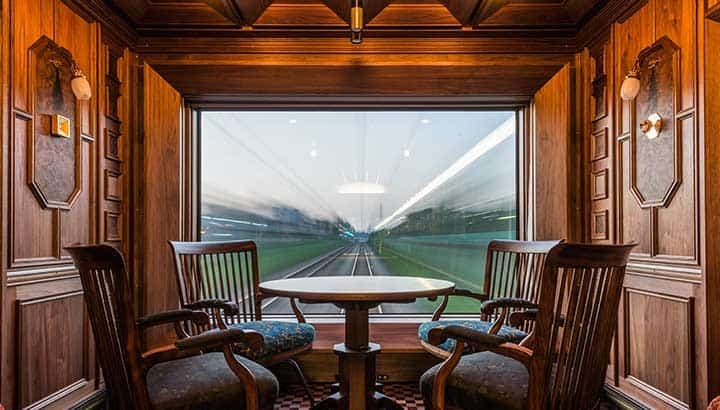 Admire ancient landscapes and constructions through the windows of the restaurant cars whilst dining on exquisite cuisine, served by attentive staff. Choose between a Deluxe Suite, complete with a living room, double bedroom and ensuite bathroom; or the social carriages that feature the original 1923 Pullman coaches. San Sebastià¡n, Bilbao, Santiago, Ferrol are the destinations to be discovered along the way, and multilingual guides will enrich your appreciation of each town as they chaperon you around museums, cathedrals, wine cellars and ports. 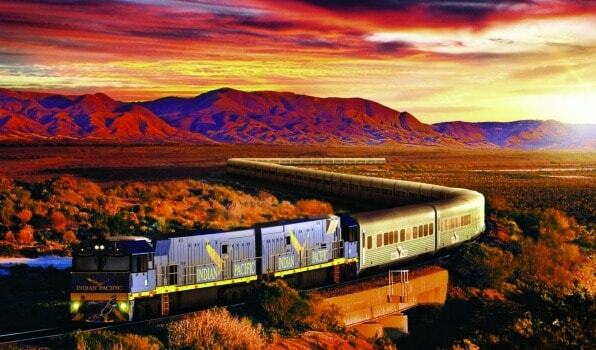 If you had on your mind a trip to the Indian Pacific or The Ghan, the Great Southern Rail will offer a journey that more than fulfills your expectations. 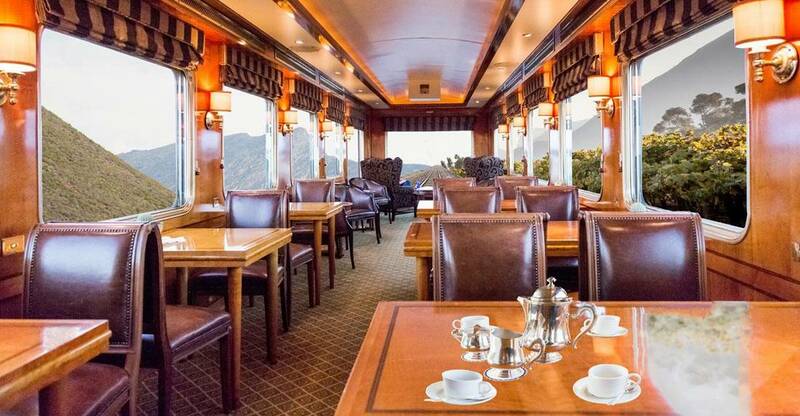 Australia’s stunning natural scenery is constantly showcased through the windows of this luxury train, which features a private lounge with deluxe lounge seating, and a restaurant car that offers delicious dishes for both vegetarians and carnivores, with a great selection of wines, too.